Keeping the whole family entertained on holiday can be a challenge; thankfully The Oasis Club at The Retreat at Champions Gate could be the answer to your troubles. After checking into your fabulous holiday home, head to The Oasis Club to pick up the latest activities calendar, it’s packed full of crafting, sporting and entertainment activities to keep the youngest members of your family smiling from ear to ear! We recently visited the Brand new Oasis Clubhouse which is part of the The Retreat at Champions Gate community in Orlando Florida. 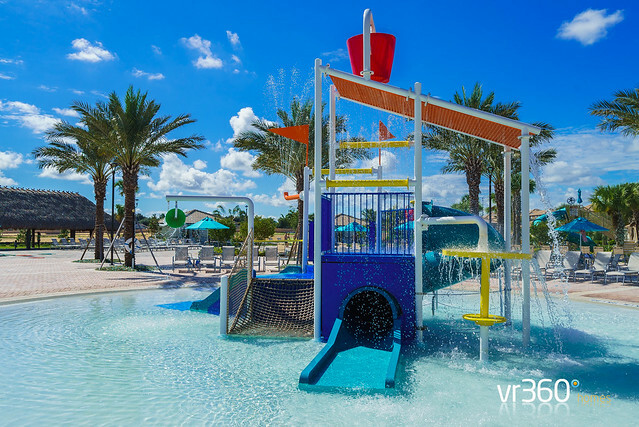 The Retreat at Champions Gate is zoned as the short term vacation section or holiday homes for the UK market, this is where we have all our luxury Orlando villas. Families come to Orlando for a great holiday and memories that will last a lifetime; part of this experience is to have your own pool, sadly they can be equally as dangerous as they are exciting. Pool safety is extremely important to prevent drowning. The first and best rule to prevent drowning is constant adult supervision for both children and the elderly.